I have always been a firm believer that wearing a great outfit can be highly motivating. That is why when I signed up to run a 5k race, I knew that I had to buy some great workout clothes to motivate myself to start running. 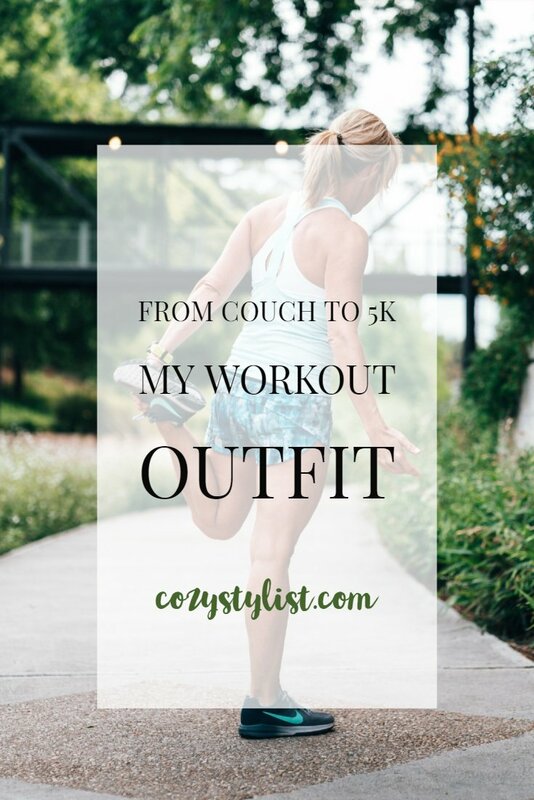 Now I do already own a few workout leggings, sneakers, and sports bras – but I NEEDED MORE! All of my workout clothing is meant to be worn in the spring/summer warmer season. They are all very lightweight to keep me cool as I run. Now this Runner’s World 5k that I am running is at the end of October, so the weather will be a little chillier. So I had to buy thicker leggings and a thermal top to keep me warm as I run. 1. The leggings and shirt that I wear have to be made of a soft fabric. This is true for all of my clothing really, I can’t wear clothing that is made of very synthetic fibers like polyester and rayon. I like to wear more natural soft fabrics like cotton. The leggings that I bought are made of a polyester blend but they are extremely soft to the touch, so I decided that I could wear them. Also, the really cool things about these active leggings are that they have POCKETS! It is always a rare occurrence when women’s clothing has real pockets. 2. The sports bra has to be very supportive. Although I have a small bust size, I need a bra that will keep everything in place. I also find that when I wear a tighter sports bra, I actually breather better while running longer distances. 3. My sneakers have to be made for running. There are many different types of athletic shoes out there like walking sneakers, court and field sneakers, and cross-training sneakers. It was important that I purchase shoes that were specifically made for running. There are also a number of accessories that you can have with you while you run that will actually help you! When I run I usually have nothing with me except a hat to block out the sun and my Fitbit Alta. I don’t like to have that much stuff on me so I don’t run with my water bottle or have headphones to listen to music, and I don’t even like wearing sunglasses because they bounce around while I’m running. I did, however, find a lot of great running accessories that you can have with you like the Free People running belt pictured below. It has a stretchy waistband that doesn’t bounce around and there is a pouch for you to keep your phone, wallet, and keys in. I also found this great UV blocking sunglasses being sold at my local Nordstrom Rack, they are really cute aviator style sunglasses that are meant to worn for outdoor activities like running and they are under $30!! I have always liked running outside around my neighborhood or at the park, but the past couple of months the weather has been terrible. It is either raining or 90+ degrees outside. As the October race date gets closer and closer and I haven’t run at all, I panic because I don’t want to be walking or stopping all the time to catch my breath during the race. I have run 5k races in the past but I always have to build my endurance back up so that I am able to run 3.1 miles consecutively. There is a little over a month to go until the race, so I have a schedule of what distance I am going to run each week. The first week will be 1.5 miles, then the second week will be 2 miles, the third week will be 2.5 miles, and then the week of the race I will be running 3 miles. I usually run a 5k in about 32-35 minutes but my goal for this race will be a flat 30 minutes. Hopefully, with this running schedule and all the motivating workout clothing that I will be wearing, I will be able to reach this 30 run time goal!! congratulations on the progress you’ve made! love the sunnies you post very cute. Thanks so much! I love the sunglasses too! These looks great!! Every time I get motivated with the gym again I end up buying a new kit. Oops. But you’re right; having the right stuff makes a massive difference to how you feel when you’re approaching the workout. Great post – feeling inspired now. Yes girl go get some new clothes to motivate you!! Good luck with your race I hope you smash your time target! I’ve just rejoined the gym to get back into running as it’s getting too cold to go street running here and I’m loving it but whenever I get the gym bug I always feel the need to buy workout clothes, I love your outfit choices! Thank you so much! Good luck with getting back to running! Lovely post!! I love your work out outfits, you are so well prepared!! The right outfit totally puts me in the mood to run or do anything really. I’m doing 10k in Bangkok in November and I’m trying to adjust to the fact that the race will start at like 4am. Good luck on your race! Running a race at 4am sounds horrible haha! But good luck to you too girl!! Love this! I’ve just started working out again and definitely needed recommendations on workout clothes! I especially loved how you linked them! Thanks! Awe thanks so much girl! 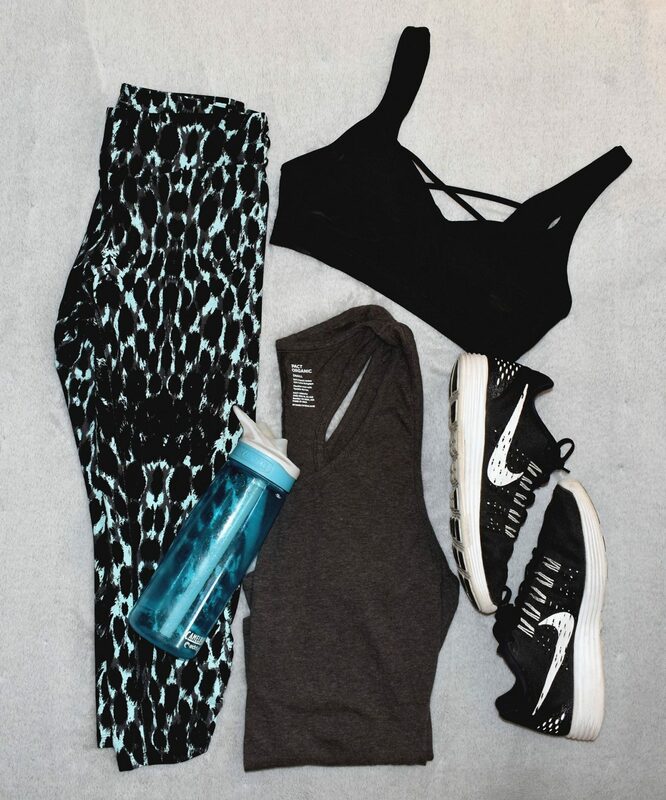 I hope you find some great workout pieces! I love Old Navy active pants. I swear by them! I think the quality and fit is great. You’ve got some good finds. Huge congrats on your progress, it’s amazing! I love the look you’ve put together too! Congrats on accomplishing your goal. I hope you do well on your 5k!